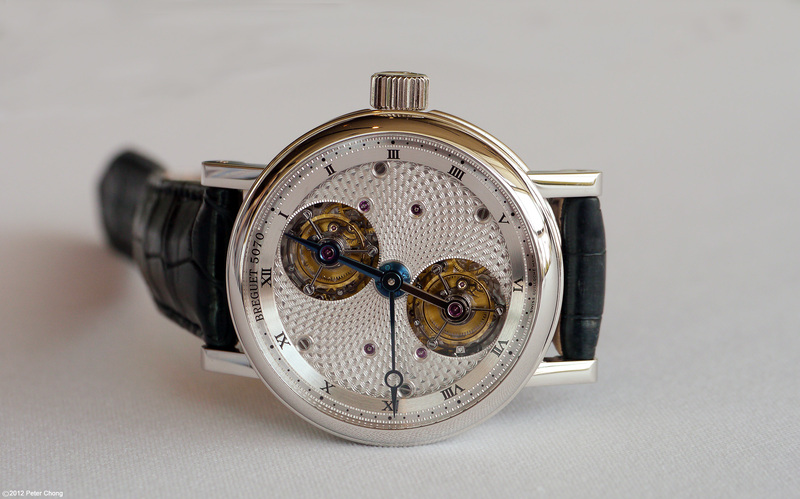 When Breguet announced the Double Tourbillon in , I was skeptical. Skeptical because it sounded more like a showoff watch than one which has true horological significance and beauty. But recently, I was reacquainted with the 5347, and came away quite impressed. The watch features a double tourbillon, each with an independent balance and connected by a series of differential gears. The differential averages the timings of both tourbillons, and presents a more accurate, corrected timing from both tourbillons. Visually, the double tourbillons are mounted on a plate, which doubles as the dial. The plate (and dial) makes one revolution every 12 hours, in accordance to the unwinding of the mainspring. A long hour hand is used as a bridge to connect the two tourbillons, and is mounted on the plate, so that it too turns at the rate of one revolution per 12 hours...Leaving only the edge of the dial, which is marked the hours remainding fixed with respect to the case. The dial is amazing! Click on the picture above to see it widescreen, wallpaper size to appreciate the fine details of the guilloche dial. Magnificent. 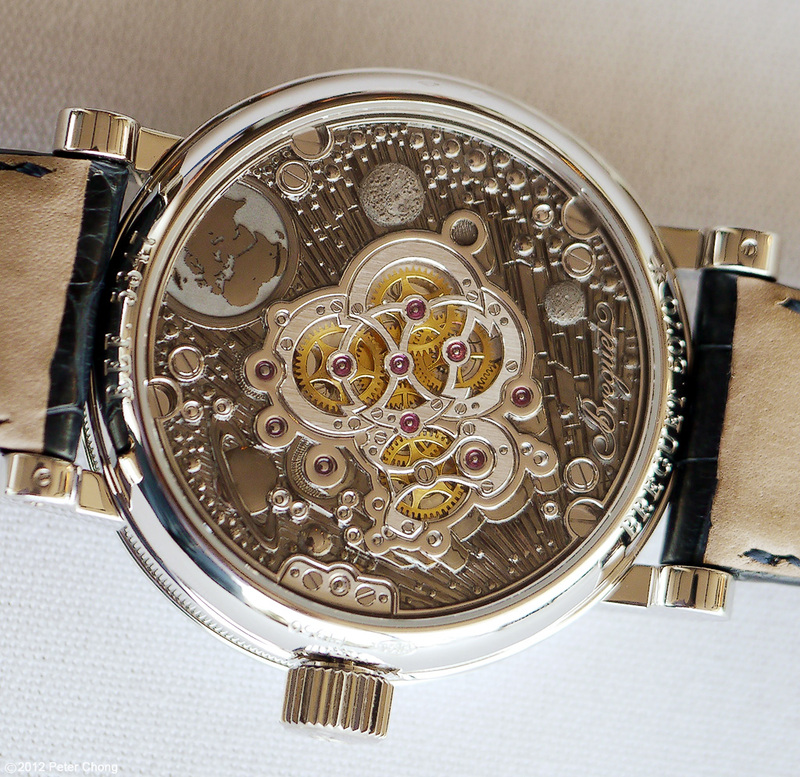 Breguet dials have always been beautiful, but this watch takes the cake. A true masterpiece. The movement is no slouch either, other than the super complicated feat of building a differential and two tourbillons. The differential methodology was earlier exploited by none other than the Grandmaster of Watchmaking Philippe Dufour in his Duality, but Breguet ups the complexity by using two tourbillons. 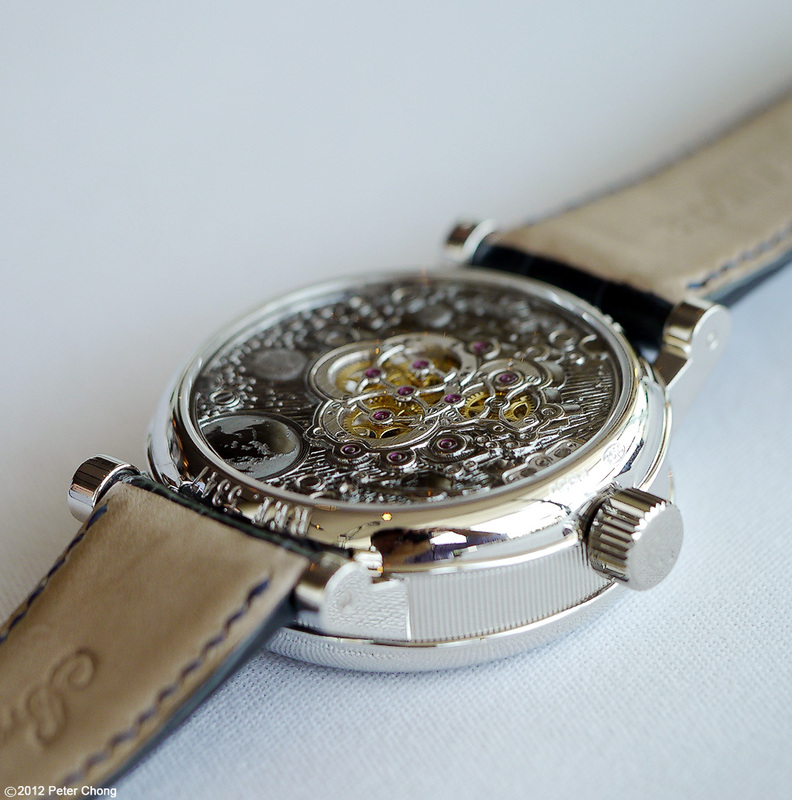 The movement is decorated with the characteristic hand engraving typical of high end Breguets. Interestingly, the minute hand takes its timing from the hour hand...typically in a watch, it is the reverse. The timings of the hour hand are taken from the minute hand. The method used by Breguet is necessary because the averaged results of both tourbillons are on the hour hand, and presents additional complications in subdividing the timing to show the minutes. Beautiful timepiece. Very well executed. Bravo for Breguet.